Nothing screams Summer like a Zombie B-film and Capcom! Well, I’m sure plenty of other things come to mind while you’re enjoying the weather and hopefully a little time off, but Keiji Inafune is still working hard to give gamers the full experience with his upcoming title, Dead Rising 2. 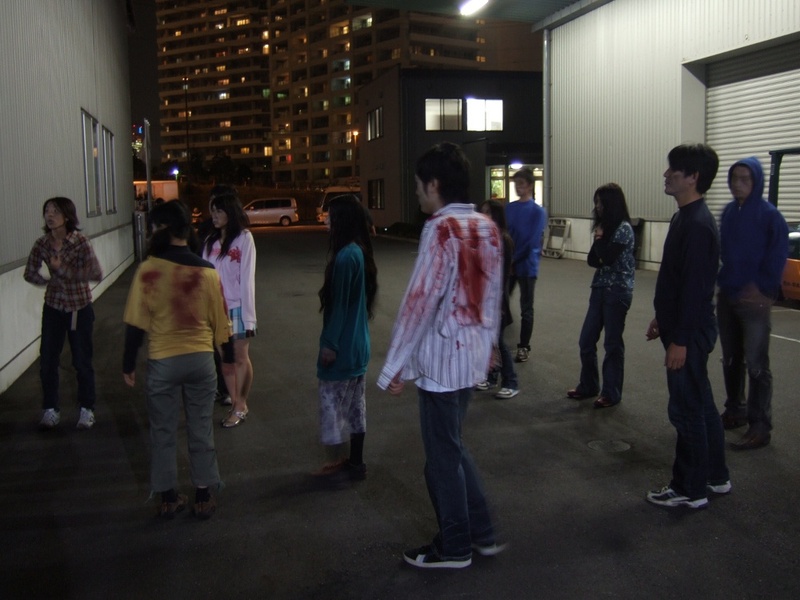 One of many promotion campaigns espoused at Comic-Con ’10 by Keiji was the production of a film based in the Dead Rising universe called Zombrex Dead Rising Sun. This is a free movie that is being released in episodes to the public over the next month. However, for those of you who have an Xbox LIVE membership, the first three episodes have just been released a few weeks early completely free. Zombrex Dead Rising Sun is a side project of Keiji’s which he hopes will excite fans and invoke enthusiasm for the upcoming game. Keiji spent his time at Comic-Con talking about how he had just as much fun shooting it as he hopes we will have watching. His intentions are comical in mocking the infamous “bad movie” style in producing this soon to be classic zombie flick. The investigation into the development of Zombrex itself, a medicinal treatment for the infected, is just one part of Keiji’s process of growing the Dead Rising universe and detailing a back story. If you would like to watch these webisodes, simply connect to Xbox LIVE, go to Game Marketplace, then finally to New Arrivals in Game Videos. For those out there who are unfamiliar with the name, Keiji is the father of Rockman (a.k.a. Mega Man) and the producer behind the Dead Rising series. The Dead Rising universe is one that gives players the ability to do whatever is necessary to survive a zombie outbreak with whatever they can get their hands on. The first game followed Frank West, a reporter stranded at the scene of an outbreak in a mall, a location that gave the player the ability to use anything from guitars to mall benches to lawn mowers to fight against the zombies. The upcoming sequel, Dead Rising 2, takes on the point of view of Chuck Greene in Las Vegas, a loving father doing whatever he can to earn money and buy the temporary cure his infected daughter needs– Zombrex. Zombrex is not just the topic that bridges into this movie, but is also an interesting twist in the zombie-ridden Dead Rising universe. Whereas in the previous title Frank West had no objective besides surviving, Chuck Greene is now motivated to actually stay in infected zones in order to earn money and purchase the new suppressant to keep his daughter alive and you know, non-zombie. Chuck will earn cash through a series of unique, ridiculous challenges that one can only imagine in a post-apocolyptic Vegas gameshow called “Terror is Reality.” In the previous game, photography was a vital gameplay element for Frank to progress through the game. Chuck changes things up and replaces skill with a camera with one that allows him to combine unique weapons like a TNT teddy bear or dual chainsaw spear. There is a significantly larger amount of thought and development going into the production of Dead Rising 2 compared to its predecessor. During the Dead Rising 2 Panel at Comic-Con 2010, Keiji emphasized just how much “bigger and better” this sequel is going to be. Some of the big announcements and confirmations included the addition of online multiplayer and prologue DLC. The terms of multiplayer are still unclear, although images of co-op and mini-game style versus were shown at the panel. The DLC is coming out by the end of this August (almost a month before the actual game is released) and is called DR2: Case Zero. 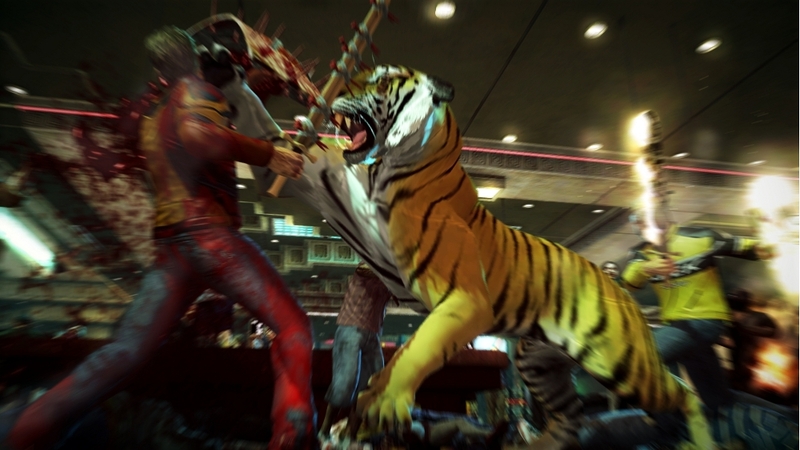 Dead Rising 2: Case Zero is the story of how Chuck’s daughter becomes infected, thus beginning his fight for survival. 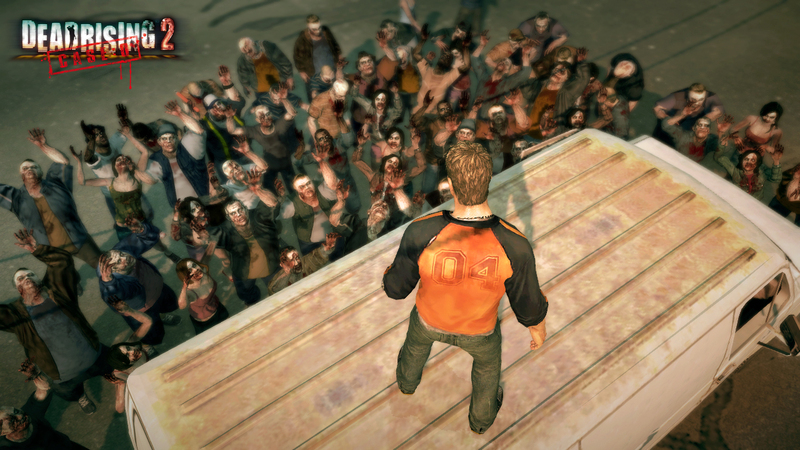 The events of Case Zero take place three years before those of Dead Rising 2, and open Chuck up to the world of zombies as well as his talents of item-combination. At the panel, Keiji mentioned how players can earn achievements and learn skills in the prologue which will carry over into the actual game. It will cost 400 Microsoft Points, which Keiji assures us is half of what his production team asked for. With early DLC, confirmed multiplayer, and an entire free movie dedicated to the Dead Rising 2 universe, Blue Castle and the Dead Rising Team are playing all their cards to make this title hit big with fans. Keiji Inafune talked about Zombrex Dead Rising Sun and how much fun it was to create an openly cheesey zombie film. Zombrex DRS is going to open up a whole new chapter in the Dead Rising universe for fans by following a handicapped protagonist in a zombie outbreak. While he may be confined to his wheelchair, he is certainly not helpless, considering just how creative his weapons and means of survival can get. 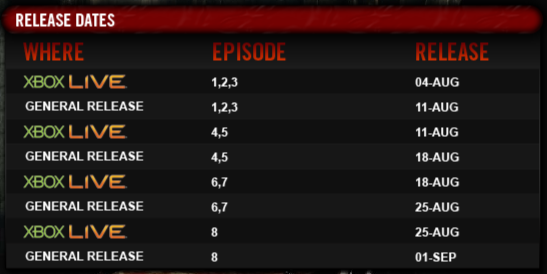 Those of you with an Xbox LIVE membership should go download the first three episodes today! And for the rest of you eager to dive into the Dead Rising 2 story, just hang tight till August 11th for your chance to see the first three episodes on Dead Rising Sun’s website.